Numbers aren’t everything, but this gives you a pretty good idea of what they translate to in the real world. Sometimes it’s important to get a little perspective in life, especially on things like horsepower. After all, you never know when you’ll need to know just how big a difference merely adequate amount of power makes in comparison to the performance made by an absolute monstrosity of an engine. That Racing Channel decided to give us all a lesson on what huge power discrepancies look like in real life by taking to the road in a Dodge Viper ACR and a Lexus IS. Right off the bat, the Lexus would lose the race because the Viper ACR comes loaded with 645 horsepower when bone stock while the Lexus IS starts out with 241 horsepower and can only be had with a maximum of 306 ponies from the factory. Unfortunately for the Lexus, the video description mentions that this Viper has been tuned. With new American Racing headers and a Viper Exchange titanium exhaust, this beast makes 700 horsepower, making for a 400+ horse discrepancy between the two cars. 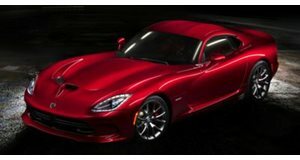 After lining the two up side by side and gunning it while rolling on the freeway, the Viper erupts with noise and brute force, quickly becoming a dot on the horizon while the Lexus weakling struggles to build speed. 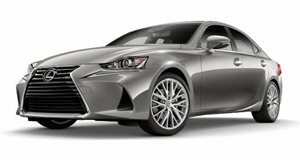 The 200+ horsepower feels like such an inadequate amount on the Lexus that the passenger has to ask if the driver is even flooring it. What can we say, racing is not for the weak of heart.